This will be a fun class with lots of opportunity for questions and learning. 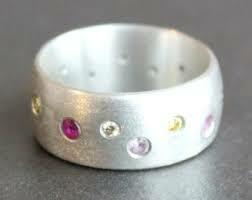 In class we will be practicing flush setting faceted stones. We will discuss common problems and techniques for setting while setting at least six stones in both a brass ring and copper plate. In addition, I will bring several types of tools that are commonly used for setting and discuss alternate techniques for setting and finishing. If you are interested in adding stones or find that you just can’t get stones to look good in your own work, this technique-based course is for you. Please do not bring unfinished projects. Due to the time constraints on the class we will not have time to address project pieces. But, as always, finished work for show and tell is welcome. 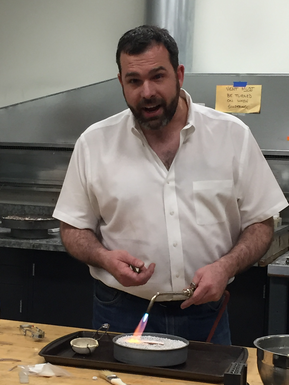 Jamie Mclandsborough has been working in the jewelry field for 20 years, since he was first introduced to soldering by a wonderful high school art teacher. Jamie has apprenticed, taken courses through GIA, tested with the Jewelers of America and studied extensively but still believes there is no better way to learn than a little bit of knowledge and a whole lot of experimentation. Jamie currently works as a bench jeweler at Gusterman’s Silversmiths in Downtown Denver, served on the Board of CoMA, and takes classes anywhere he can, most recently right here in the BoMA studio.